Constipation is one of the most common bowel disorders affecting American adults, with roughly 20 percent of the population suffering from hard, painful stools. Defined as having fewer than three bowel movements per week for several weeks, constipation occurs when the colon absorbs too much water from the food passing through it, creating dry stool that’s extremely difficult to pass. 1. 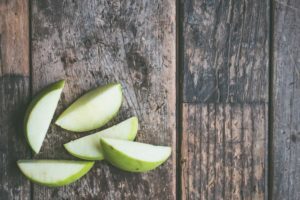 Eat more apples – This juicy fruit is packed with pectin fibre, which has been found to help relieve constipation and slow down the absorption of excess dietary fats, making you feel fuller for longer. The sorbitol in apple juice also has a laxative effect. 2. Eat more raisins and figs – If apples aren’t your thing, perhaps these two dried fruits can be added to your diet. High in fiber, raisins and figs are even more beneficial to your digestive system when soaked in water. 3. Exercise more – Being more active is always beneficial to your health! 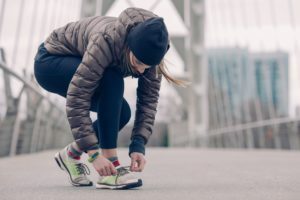 Hitting the gym or simply going for a jog outside helps aid food breakdown and reduce the time it takes food to move through the large intestine. The less time food sits in your colon, the more water it retains to help ease stool passage later. 4. Hydrate – Retaining water in your stool is the key takeaway here, so drinking more fluids is critical. When you don’t drink enough water, your body absorbs more water from the food you eat in order to make up for the imbalance. 5. Try over-the-counter medications – For a quicker fix, laxatives (used in moderation) can help with constipation. These substances work to loosen your stools and increase bowel movements pretty quickly. 6. Don’t hold your poop – If you feel even the slightest urge, go to the bathroom! Holding your bowel movements causes stools to sit longer in the colon, increasing the amount of water absorbed. Definitely not what we want! 7. Drink some coffee – Despite being a diuretic that can dehydrate you if consumed in large quantities, coffee has been shown to stimulate the muscles in your digestive system. Small amounts of soluble fiber in coffee can also boost the balance of your gut bacteria. 8. Try probiotics – Studies have shown that Bifidobacterium, a bacteria of the gastrointestinal tract, can aid in digestion and reducing constipation. Yogurt, fermented vegetables (kimchi, miso, sauerkraut), cured meats, vinegar and sourdough bread are good options for increasing your probiotics intake.